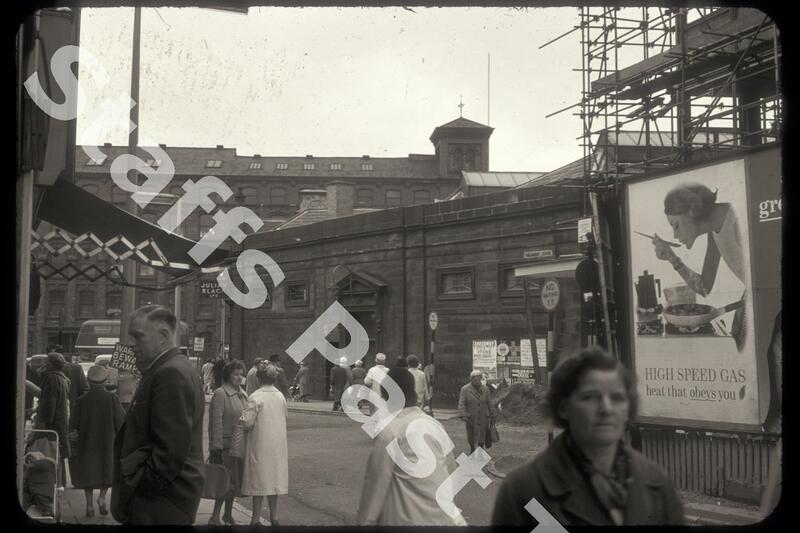 Description:The old Hanley meat market from Parliament Square with Webberley's store in the background. Built in 1831 in classical style with Roman style Doric doorways, the old meat market building is now grade II listed and was refurbished in 1999 as the Tontine Shopping Centre, with a bookshop and a public house. As a market, the meat probably came from the local cattle market and slaughterhouse in Smithfield in Bethesda Street. 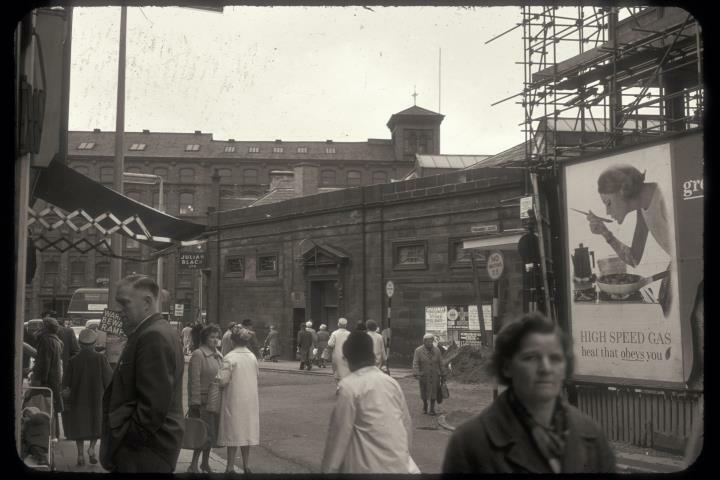 The market closed in November 1987 with stallholders moving to the new indoor market beneath the Potteries Shopping Centre in Market Square. Behind is the Free Trade Building on Percy Street, from 1924 to 2016, the home of Webberely's printers, stationers and booksellers. In the past the building had been a dancing school, used by Stoke Repertory Theatre, the Liberal Club and the offices of Arthur Prall, wholesale ironmongers and potters merchants. Just off to the right, shops and offices on Tontine Square are being built.